* In theory at least it should be easy to determine the twenty horse field that will compete for the Kentucky Derby on the first Saturday in May. In fact, due to changes in the qualification process for the race that were implemented a couple of years ago it should be easier now than at any point in history. Three year old earn qualification points for their performances in designated prep races. The major prep races like the Santa Anita Derby and Blue Grass Stakes award 100 points to the winner and that’s enough to guarantee a berth in the Kentucky Derby. Lower finishing positions and less prestigious races award fewer points. The twenty horses with the most points qualify for the Kentucky Derby with two more horses afforded ‘also entered’ status which will get them into the race in the event of a late scratch or last minute injury. The old qualification system was less regimented, based on lifetime earnings in stakes races. Yet what should be easy in theory has proven to be anything but in practice. While the top half of the Kentucky Derby field is likely set—with one major exception that we’ll talk about in a moment—there is little certainty among the connections of horses on ‘the bubble’. Instead, they have to play a waiting game in which they keep their options open while trying to plan the rest of their horse’s three year old campaign. And there will be plenty of anxious moments for these owners and trainers over the next few weeks. Here’s what is known about the 2014 Kentucky Derby field: Santa Anita Derby winner California Chrome will almost certainly be the post time favorite and you can expect Arkansas Derby winner Danza, Louisiana Derby winner Vicar’s In Trouble and Wood Memorial winner Wicked Strong to be in the field. There’s also a group of horses that are likely Derby entrants but their trainers—particularly those with multiple options like Bob Baffert and Todd Pletcher—are keeping their cards close to their vest for the time being. Here’s where it gets chaotic starting with the always present risk of injury. In a typical Kentucky Derby year a half dozen or so horses that have committed for the race bow out beforehand due to injury. There’s already been a top contender ruled out due to injury this year—Florida Derby winner Constitution won’t be able to race due to a hairline fracture of his right front shin. It’s not particularly serious but will require a couple months of rest and rehabilitation. A stranger case is that of Bluegrass Stakes winner Dance With Fate. He’s currently ranked #3 in qualification points which makes him a no brainer for the Kentucky Derby, right? Not so fast—the Bluegrass Stakes is run at Keeneland Race Course on a synthetic polytrack surface. The Kentucky Derby is run on the dirt track at Churchill Downs and Dace With Fate has never raced on dirt, spending the early part of his career on turf and synthetic. His connections haven’t officially ruled out racing him in the Kentucky Derby but signs suggest that Dance With Fate won’t be in the lineup on May 4 based on comments like ‘he doesn’t like dirt’ and ‘he’s not strong enough to compete on dirt’. As you can see that California Chrome is the top contender for winning the Kentucky Derby this year, you might not get odds on him. So it’s best to look at a longshot and might win a lot more. 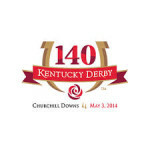 If you are a novice horse bettor, this site has a nice little guide on different types of bets to bet on Kentucky Derby 2014. Two horses out of the field means that two of the horses on the bubble may get in to the field. Of course some of the connections ‘on the bubble’ may figure that they need to look past the Derby and start making plans for the rest of their horse’s three year old year. The result is a Kentucky Derby field that will be in a state of flux until the week of the big race. Bettors who handicap pro-sports that utilize a “point spread” for wagering, such as football and basketball, often do not realize Vegas oddsmakers are only interested in keeping bets evenly split on both teams. This way, sports betting bookmakers have a guaranteed profit from the commissions they charge on winning bets, regardless of which team actually covers the spread. *Adjusted for Mon Night home field advantage. My first step in analyzing the point spread Vegas posts for each NFL game is to use key offensive and defensive statistics to calculate a Team Efficiency Rating—or TER—for each team. TER is a complicated measurement that is difficult to explain fully in a single paragraph, and because it is the basis for my system, I am not at liberty to discuss exactly how it is calculated. To give you just a brief description: TER’s are a more up-to-date version of the old fashioned “Power Rating” and I calculate them by measuring the overall ability of each team to move the ball down the field when on offense—stop their opponent from moving the ball on defense—and how these statistics are translated into points on the scoreboard. Hence the term: Efficiency Rating. TER’s can fall anywhere between -20 and +20. After I have calculated a TER for both teams, I combine these 2 ratings with the point spread (SPR). Finally, I factor in a calculation of home field advantage. This combination of TER, SPR and home field advantage allows me to measure the accuracy of the Vegas line for any match up. Momentum Situation—San Francisco is in a positive situation that is 35 – 11 ATS since 2005 concerning teams with a SLA of between 5.00 and 6.25, coming off a loss, and now facing an opponent off a loss. This table details different won/loss records for various situations within a certain soft line advantage “range”. Remember that in the first section you saw a calculation showing San Francisco with an advantage of 5.82 – that is 4.93 minus -0.89. This 5.82 falls into a range of 5.00 to 6.25. 1) Both teams coming off a win. (St Louis) off a loss. (St Louis) off a win. 4) Both teams coming off a loss. Situations with their record highlighted in orange are negative. Situations highlighted in green are positive. The situation that applies here is shown in bold: San Francisco off a loss; St Louis off a loss. This table tells us that teams with a soft line advantage of between 5.00 and 6.25, coming off a loss, and now facing an opponent off a loss, are 35-11 ATS since 2005. You might notice when both teams are coming off a win, the record of a team with a soft line advantage between 5.00 and 6.25 is actually under .500 (19-23). If this were the case, I would not take San Francisco; I would pick St Louis instead. What does this mean? Well, from week to week, every team in the league will experience the normal roller coaster of ups and downs in their level of play, and the quality of the personnel that they put on the field. These changes in momentum can sometimes be predicted by comparing the result of each team’s most recent game with a longer range statistical measure—soft line analysis, in this case. By combining these 2 methods, I enhance the success of my mathematical formula by isolating profitable situations in which a team is exhibiting signs that its momentum is about to reverse direction, pick up speed, or stay on its current course perhaps. This combination of statistical and situational handicapping methods allows me to stay ahead of the curve. I can take into account effects of recent team personnel changes—injuries, substitutions, or changes in coaching strategy—often before the oddsmakers get around to factoring them into the line. At the same time, I can measure the subtle emotional factors left over from a team’s most recent game that may have a small effect on their upcoming game. I should make it clear that the type of situational analysis I employ still depends largely on my proven mathematical system. It in no way compares to the “voodoo” logic of trend handicapping.